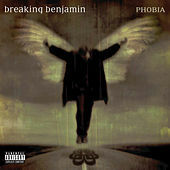 Consider them broken: with their third album, Breaking Benjamin takes another step towards their dominance of active rock radio. Lead-off single "The Diary of Jane" is heavy with the band's signature minor key guitars and Benjamin Burnley's brooding, borderline screamo vocals, much in the same vein as their No. 1 hits from 2004's We Are Not Alone. Sonically, the rest of the album follows suit -- dark and gloomy, heavy but hook-filled. A few mid-tempo ballads soften the edge, with "You" riding an almost sunny chorus. But even the slow numbers seethe, and though their future is bright, there's always clouds on BB's horizon.